Official instances have done a lot of work to protect the Baltic Sea. At a local level, it’s time to have practical actions. In September 2016, a new campaign using social media was launched by the WATERCHAIN project to save the Baltic Sea. The aim of the campaign was to make everybody especially youngsters aware of the water quality issues of the Baltic Sea. In Finland, the Baltic Sea Savers campaign was launched in a school in Eurajoki as a part of teaching process with 7th graders including activities in several subjects; Finnish, chemistry and art. Pupils evaluated the meaning of Eurajoki river in their own life, collected information on the river water quality and analyzed how the river affects the state of the Baltic Sea. As an activating element there was an art competition in social media. The Baltic Sea Savers art competition happened simultaneously in all WATERCHAIN partner countries: Finland, Sweden, Åland, Estonia and Latvia. 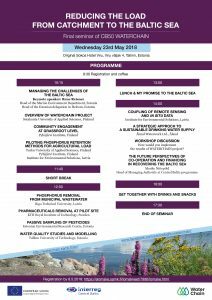 The artworks for the competition were published in social media: Facebook, Instagram or Twitter by using campaign hashtags #BSS, #BSSFI, #BSSÅL, #BSSLV, #BSSEE and #BSSSE. The winner of Baltic Sea Savers art competition comes from Latvia. 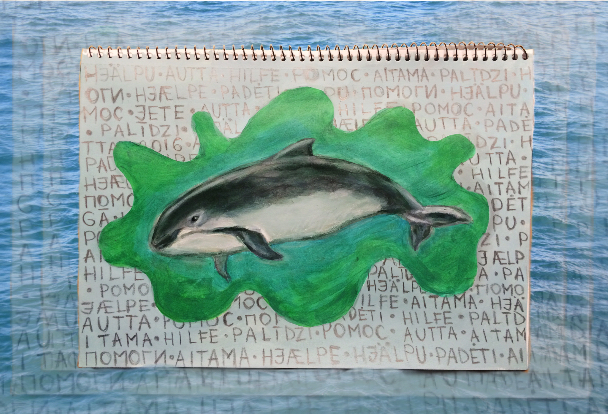 Jete Jakovica from the Cēsis Art School created the artwork which is dedicated to the endangered Harbour porpoise (Phocoena phocoena L.) living in the Baltic Sea. Jete’s artwork gained 256 likes in Instagram.